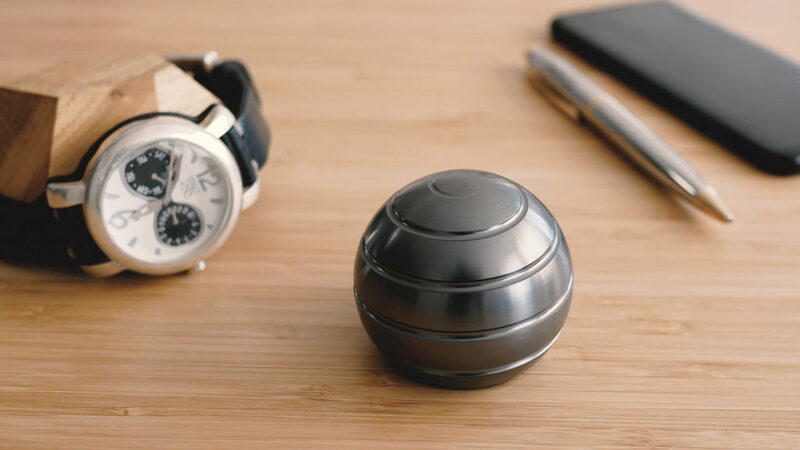 A piece of kinetic art worthy enough for any desk, whether creative or corporate. 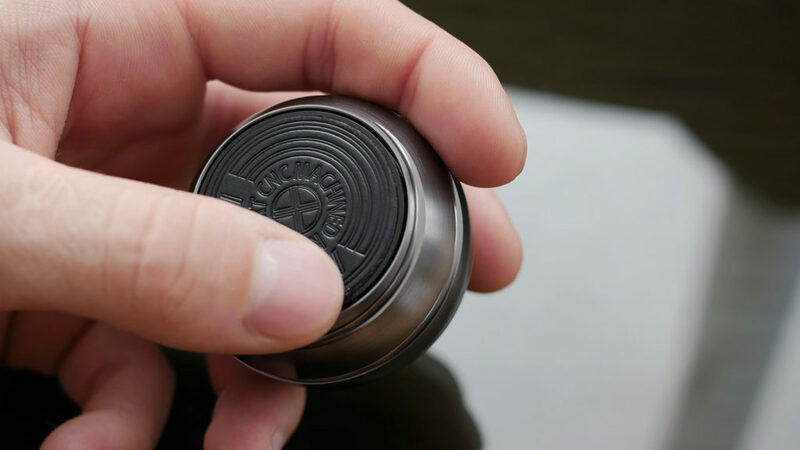 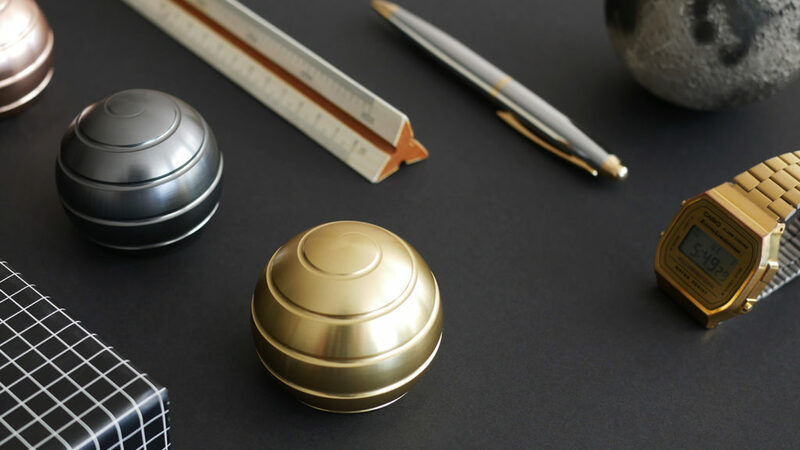 Fidget spinners came and went, but some fidget toys went on to become something classier, to adorn office desks and modern homes. 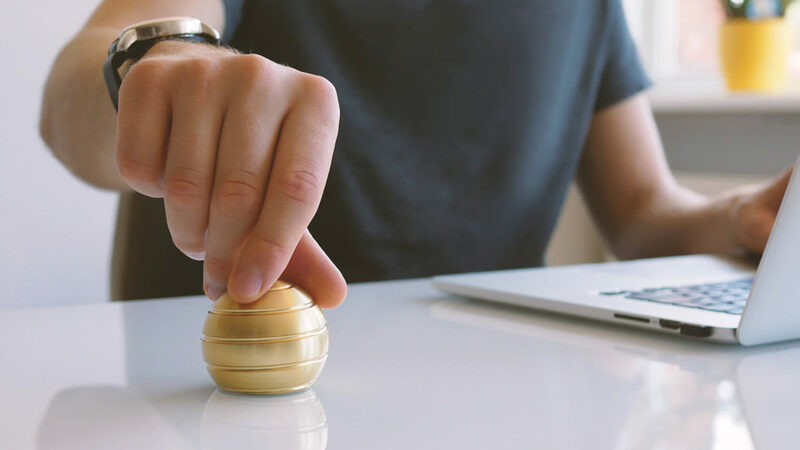 A piece of kinetic art, the Mezmoglobe Kinetic Desk Toy is a precise machined globe that offers a full-body optical illusion. 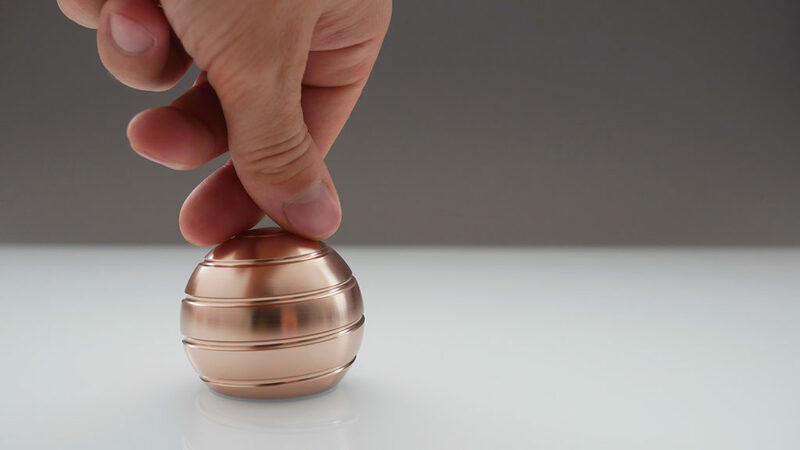 Just remove it from the included rotating base, give it a simple twirl, and prepare to be completely mesmerized by the 360-degree optical illusion of continuously flowing helix. 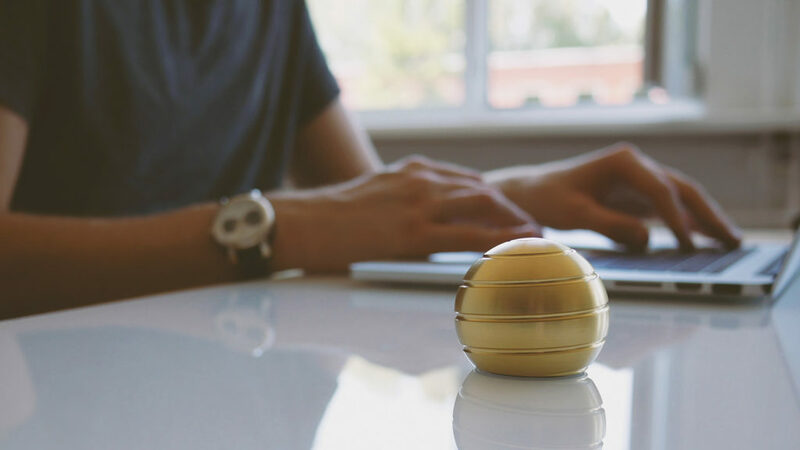 Keep the Mezmoglobe on your desk at home or the office for immediate stress relief, or to help you stay focused. 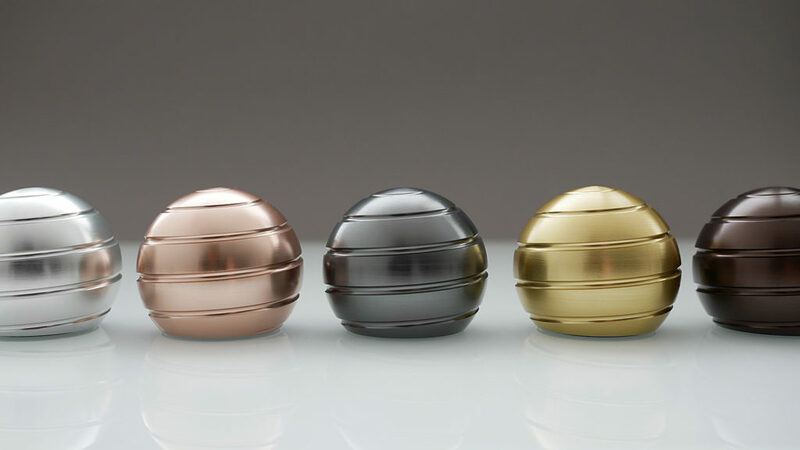 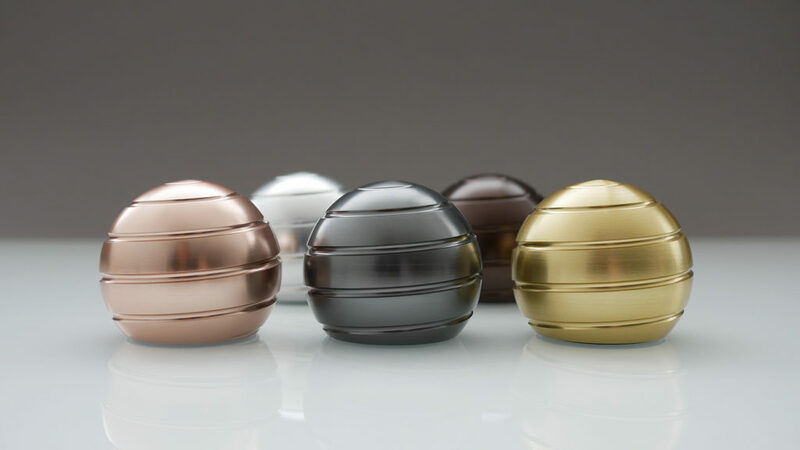 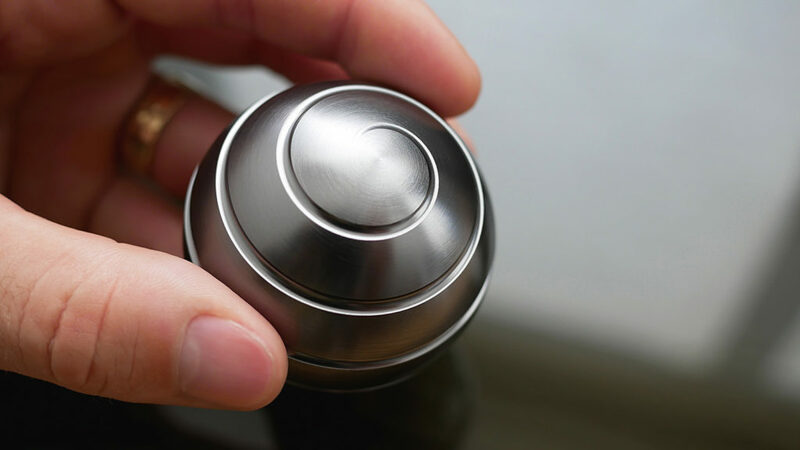 Made from aerospace grade aluminum, the sleek Mezmoglobe is worthy enough for any desk, whether creative or corporate.